I have a new software program, Napkin, that makes creating images for my blogs a snap. I’m all for anything that saves me time. I’m also all for anything that’s easy to use. It’s rare that I find an app that delivers on both. Napkin does. You can use it for more that creating images for your blogs. You can sketch and focus on part of an image… Those are things I haven’t gotten to yet. What I’ve used it for is to find an image I’d like to use, create a screen shot, then edit it in Napkin. The very best part of Napkin? You can literally drag from a png button and create a png file. This file type is compatible with WordPress. Because of this, it’s easier than ever to bring an image into my posts. In fact, I have had to restrain myself! 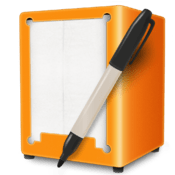 Napkin is a Mac app that’s definitely worth checking out! Categories: Apps/Software, Blog, Productivity | Tags: blog images, images, Napkin app, screen shot | Permalink.